This tied universal expansion joint is designed to carry hot gas up to temperatures of 1022ºF and pressure up to 5 PSIG. 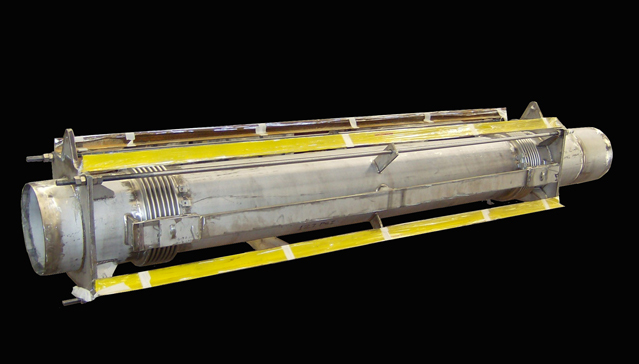 It has a 66″ inside diameter and is 126″ in overall length. The design movements are 3″ lateral and 4.5″ axial compression. 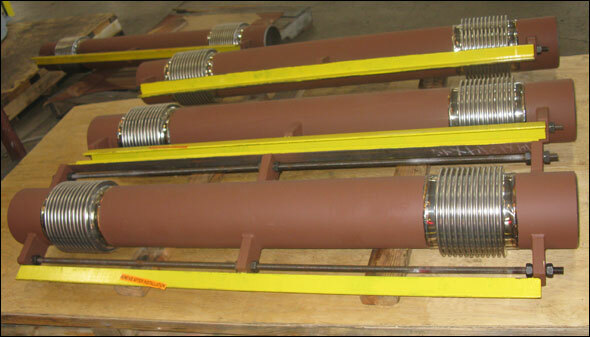 The bellows material is Inconel® 825 with 316 L SS flow liners, carbon steel weld ends and limit rods. The bellows and pipe longitudinal weld seams were 100% water clear x-rayed and dye-penetrant tested prior to a 5 PSIG air test. All exterier surface of carbon steel pipes are high heat aluminum painted. 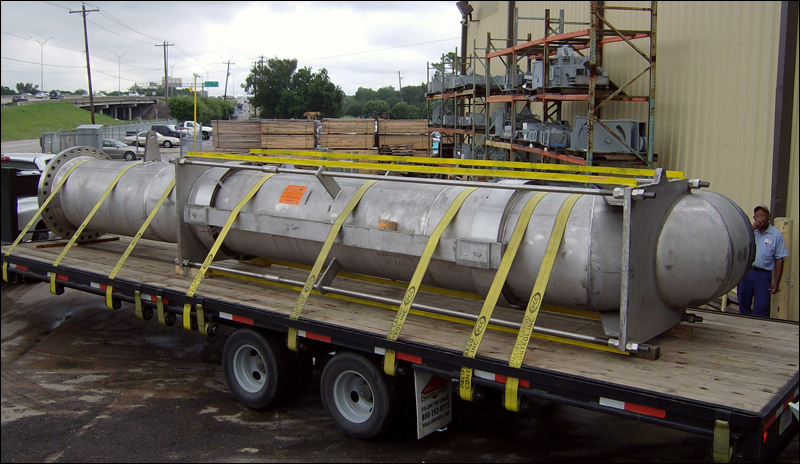 This tied universal expansion joint is fabricated from carbon steel pipe, tie rods and covers, and 304 stainless steel bellows and liners. The overall length of the expansion joint is 72″. 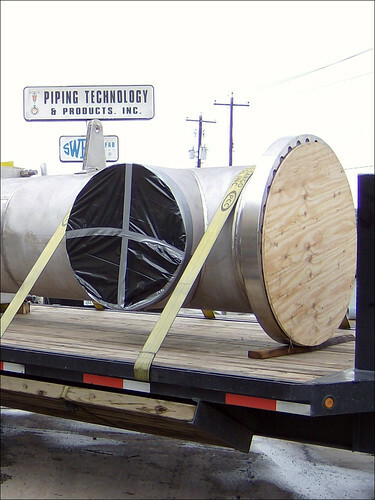 The application of this expansion joint is to provide for large lateral movement in a propane dehydrogeneration plant. 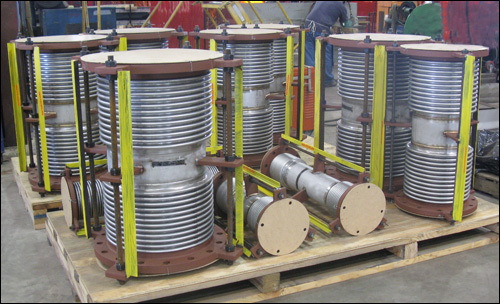 The expansion joint welds were 100% dye-penetrant examined and hydro-tested prior to shipment. This tied universal expansion joint is 18 inches in diameter and 15′ in overall length. 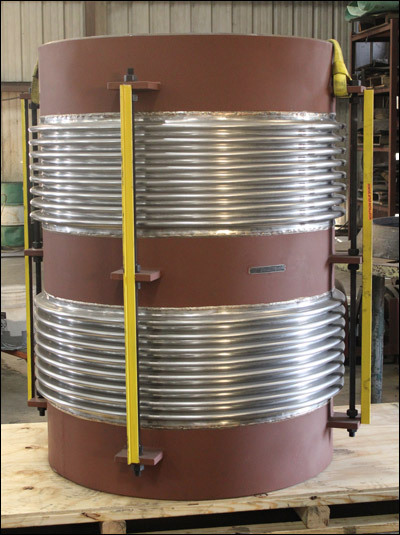 The expansion joint is fabricated with an Inconel® 800 bellows, 316H stainless steel pipe and 304H stainless steel tie rods and slotted hinges. The design pressure is 65 PSIG at 1076ºF. A hydro-test at 127 PSIG was performed as well as dye-penetrant testing to ensure product quality. 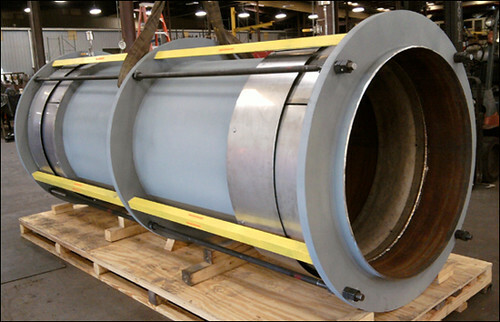 U.S. Bellows Inc. designed and fabricated a 36″ tied universal expansion joint for a petrochemical plant in Kuwait. 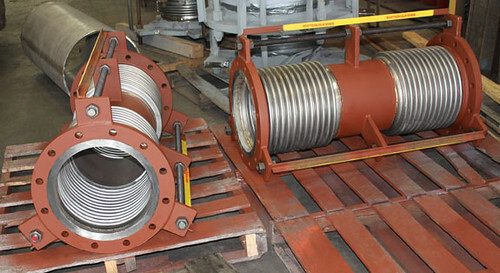 The expansion joint measures 36″ in diameter x 318″ from center of elbow to face of flange. It is fabricated from 316H stainless steel with Inconel® 800 bellows. The design pressure of the expansion joint is 65 PSIG, and the design temperature is 1076ºF. It is designed for axial compression within the tie rods and lateral movement of 3.02″. Hydro-testing was performed at 98 PSIG to assure the integrity of the tie rods and also to assure quality. 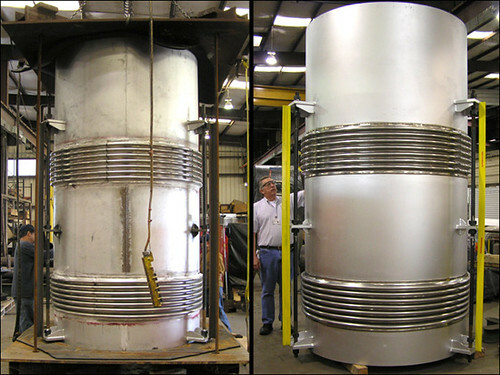 The pictures show the expansion joint leaving the shop on its way to the customer. 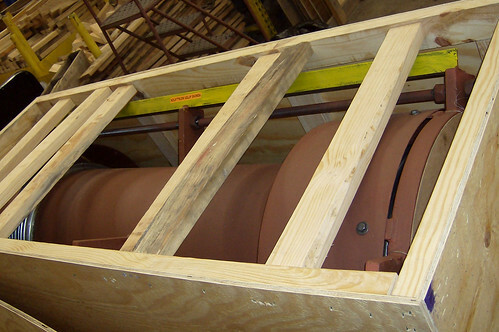 The stainless steel flange faces are protected with 3/4″ plywood during delivery.